Login using your UVID and password--the same you use to login to UVLink. Type in the name of your blog. This will appear in the blog's header. 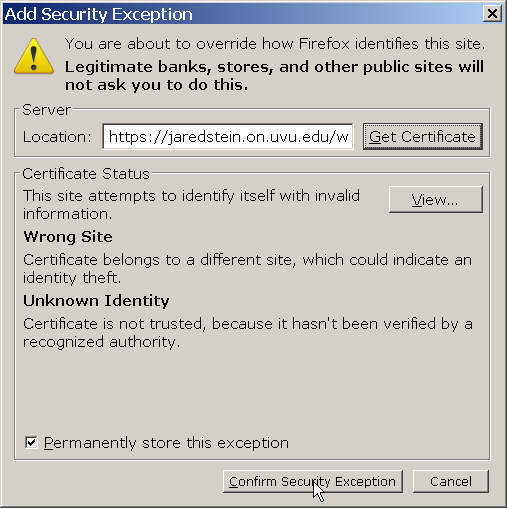 Note: Because this blog system is in pilot testing phase, you may be asked to confirm a security exception the first time you revisit it. 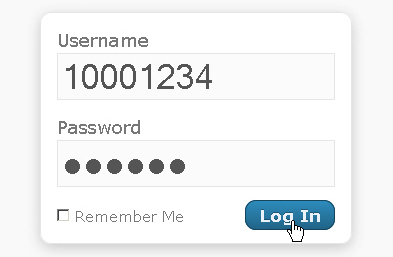 You will need to login to your blog each time you visit the site and want to make a post. To make a new post, first go to your blog's web address, and if you haven't logged in yet, click Log in. You may also put your posts into a Category. When you have completed at least these three things, you should Publish your post. Title and content should be obvious. Tags are keywords that you can use to describe your post and help people find related posts later. Tags must be separated by commas. You must also click Add before you save your post. 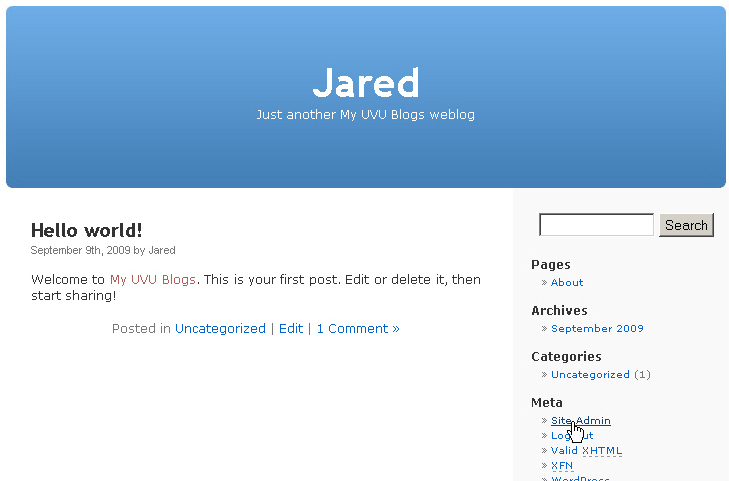 The on.uvu.edu system allows you to create both Posts and Pages. "Posts" are primarily for chronological articles that are tied to your blog's timeline. News, current events, journal entries, updates all may be "Posts". "Pages" are more static, and are not tied to a timeline. An "About Me" page or a resume may both be "Pages". You can customize your blog's appearance and features by visiting the Site Admin link on your blog. There is lots to explore, and little that you can break, so have fun!